Excellent food, excellent service. Beautiful old world charm. Loved it super family friendly and delicious personal sized pizzas! The Mulberry Street sandwich (their version of the Italian) was delicious! I had it with the Italian Wedding soup, and both were very good. Love the different items on the menu. Not your standard Italian restaurant. Owner is friendly and meets you at your table from time to time. We love it here! Great drinks, nice patio and the food is delish! One of be better dining locations in Cobb county. The chefs keep a fresh menu and the food is to die for. The atmosphere here is wonderful and our waitress was awesome! It was very busy but we were never kept waiting for anything we needed. The food came out in a timely manner and was excellent. I would definitely recommend trying this place! Fantastic!!! We love this place! Service and food are both very, very good! We had an amazing wine pairing dinner! Thank you to a wonderful staff! We loved it!! 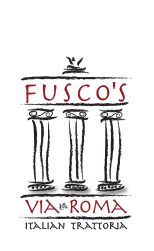 While traveling through Georgia we stayed at a hotel and stumbled into Fusco’s. We had a great time! Fantastic server, delicious food and great atmosphere. We loved the downtown of Acworth! Always a pleasant experience with amazing food and wine! Acworth’s little gem! Food was delicious. Great menu, atmosphere and service. Good pie. May be a little over the top wood smell as they cook their pies in an open wood oven. Wish they had more choices on beverages. Great little Italian place in downtown Acworth. Sandwiches are great during lunch. Caesar salad with grilled chicken was pretty good, nothing to write home about, but it was ok. Nice atmosphere. Great Family owned and operated restaurant! Always excellent meals and wonderful service. Highly Recommended! Very nice restaurant. Nice decor and very good food. The waitress was excellent. Good folks in the place. Nice crowd. Highly recommend. The bruschetta was great! The fettuccini with pesto was good Very mild. Cannoli was good. Cute and quaint. Service with a smile and great personal sized pizzas. The grill is a beast! Loved it. Kaylee is the best. Great sauce, kid friendly, bottomless wine. First time but we will be back. We have been here a couple of times and everytime it has been delicious!! One of our favorite Italian spots!! Expensive, but very worthwhile. Food is fantastic, and the atmosphere is to die for. Service is wonderful as well. My favorite Italian restaurant in the area! Excellent service, incredible food, wonderful atmosphere and just an overall great experience! Amazing food! Excellent service! Fantassimo! Nice place. We had a flatbed which was very tasty. They had a lasagna special that was great as well. The service was fantastic as well. The only bad thing is it's a bit pricey. I paid $25 for the lasagna which I thought was a bit high for lasagna but it was good. Great service and great food, love this place! We got a great window seat with a street view. Very romantic. Good authentic Italian food also enjoyed the eggplant. Highly reccomend and has great servvice. By far , the most authentic friendly neighborhood Italian Specialty Cuisine in Acworth ! This place was a good experience. I feel like it was a bit understaffed for the amount of people there as it was hard to get drink order refilled however the food and bar was amazing. Hope to go back again. Tara, our servant was awesome. Food was great. This is an amazing restaurant! I absolutely love this place. It's a great place to take the family or a first date. It is a quiet place that is an upper scale atmosphere with amazing food. I highly recommend this restaurant to everyone. They have flavors for everyone. I promise you will not be let down. Always great food and the olive oil is the best I have ever had! Fantastic food. The best authentic Italian restaurant in Bartow County. Prices are very reasonable. Love eating there.